Today we hosted JB Pritzker and Juliana Stratton in Champaign-Urbana to showcase our community & meet local employers. We heard from many about why they choose our community – low cost of living, great companies to work for, access to talent, no traffic. Cathy Singer, VP Engineering, gave us a tour of Oath, the largest employer in University of Illinois Research Park. They are a Hadoop Center of Excellence & lead data projects for the company. Employees were happy to share their love for #chambana, one moving here from CA for better quality of life. Next stop was Granular in their beautiful space (with live plant walls!). Landon Frye, Business Development, & team shared history of company & why #chambana – it’s the place where technology & ag thrive together. Many employees grew up on farms & went to University of Illinois at Urbana-Champaign. Heard from Ben, COO of EarthSense, about their advanced machine-learning and robotics products to manage urgent threats to agriculture. Their TerraSentia robot is currently being used by leading crop breeders & plant scientists. Ron van Os, CEO of Inprentus Inc., shared their history, including growth from EnterpriseWorks into new location in Champaign. Provider of ultra-high precision optical components (diffraction gratings). The company was founded in 2012 by UIUC Professor Peter Abbamonte. The LifeFoundry team shared their startup story which began in 2017. Company applies robotics, synthetic biology, & machine learning to accelerate the R&D of biotechnology. Since start, have grown to about 15 employees.They are located in EnterpriseWorks. Ryan & Ryan at PhotoniCare, founded in 2013, shared their mission to revolutionize healthcare by providing physicians with better diagnostic tools. Complete with demo, showcased technology focused on ear infections – focuses on diagnosis, treatment & monitoring. Lori, CEO of Pixo, shared company start & success in attracting talent. Located in Urbana, they have only ever needed to recruit two people outside of #chambana in 20 years. Here because: talent, cost of doing business, and culture of community/region. 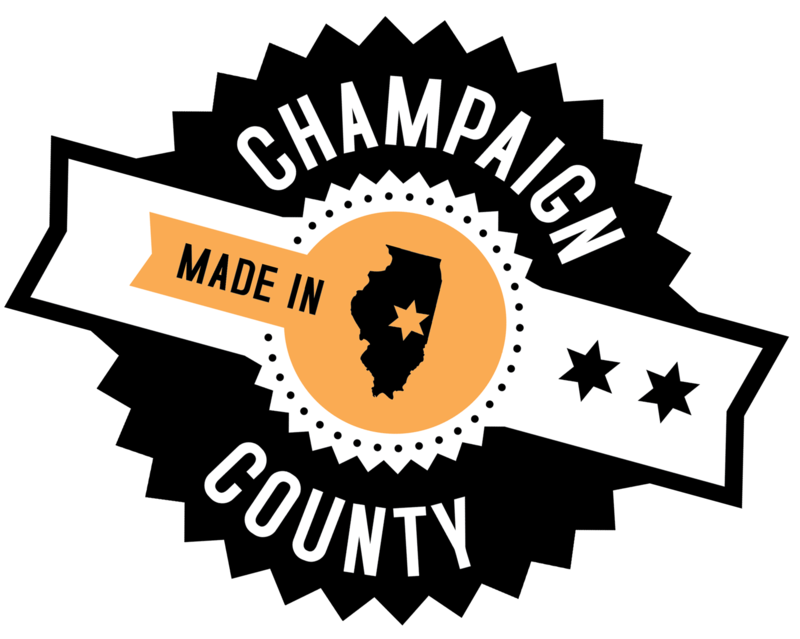 Champaign County, home to the University of Illinois, features world-class technological resources and superb location and transportation benefits that make it a strategic hub for technology and industrial development.